Some think that they are the most foul things in the world ; conniving, silly and dark (an image enhanced by their portrayal in the Lion King). Others are their biggest fans and preach about the good they do for the health of an ecosystem. 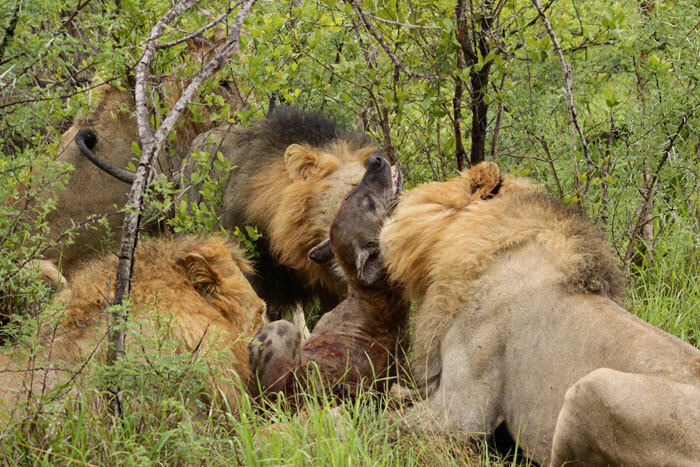 Often operating in clans, it is thought that they developed this social behavior in response to increased pressure from rivals on carcasses, thus forcing them to operate in teams. At Londolozi we have a very healthy population of Spotted Hyena and whether you like them or not one can’t help but acknowledge their entertainment value! 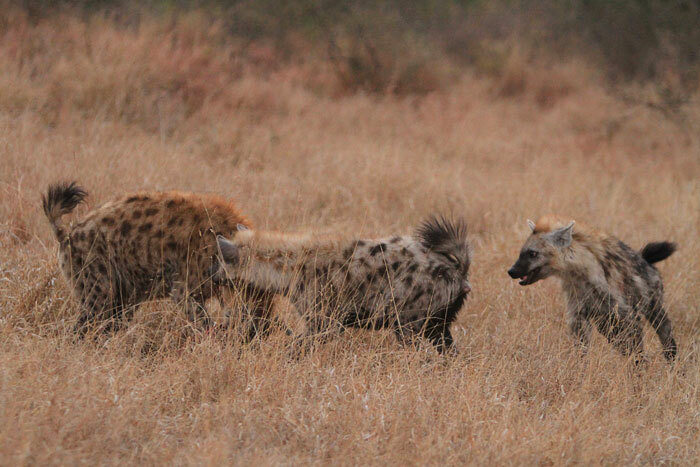 The nerve-wracking confrontations between hyena and lion/leopard/wild dogs often creates the most memorable sightings and always leaves me caught on the fence about whether I like the way they operate. They come in with power, force, noise and presence…the one thing they are not is silent and polite! Another aspect of hyena behaviour which always amazes me is their patience. In my mind they are ‘patience-personnified’ as they sit under a tree waiting for a scrap of meat to fall. As the proverb simply states “Good things come to those who wait“. Below are some of the photos I have taken of Londolozi’s hyenas over the last 2 years…the love/hate relationship continues! 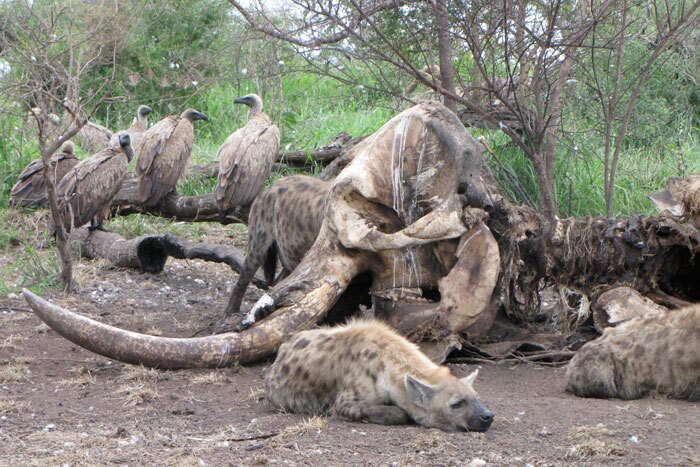 Chaos is often created at the scenes of kills which are stolen by marauding hyena. 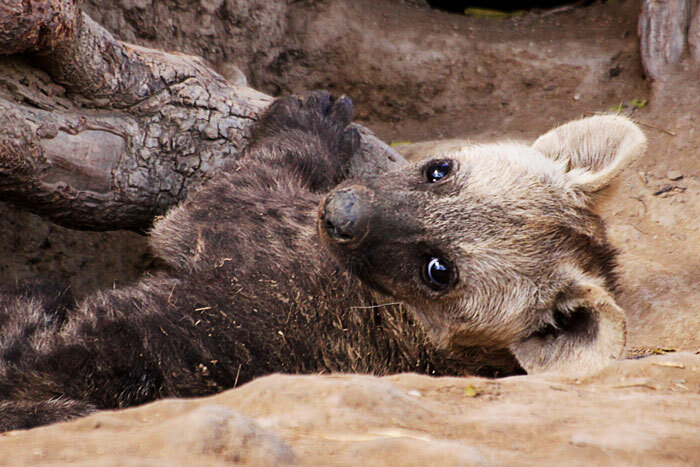 At just a few weeks old hyena cubs are incredibly sweet. Here a little one can be seen sitting on the edge of a termite mound. Spotted hyenas are not seasonal breeders, and can reproduce at any time of the year, though a birth peak does occur during the wet season. The strength of hyenas never ceases to amaze me. Here a male is seen running off with half an impala in it's jaws. Spotted hyenas have a very powerful bite; thought to be able to generate 40% more pressure in their jaws then a leopard. 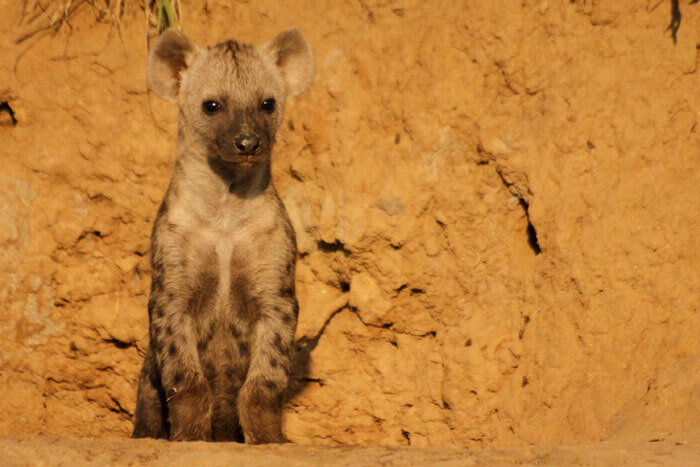 A young hyena stares towards the vehicle...eyes that could melt even the hardest of hearts! An elephant carcass provides plenty of food for the numerous clans found within Londolozi. Hyenas provide an essential role in cleaning up the landscape and preventing the build up of dead bodies, carcases, detritus and decay. Together with the vultures they are the ultimate clean up crew. Working themselves into a crazy hysteria hyena clans can be very intimidating and exceptionally entertaining. Cooling off during the heat of the day. After a successful raid of a leopard kill this clan headed directly for a wallow. 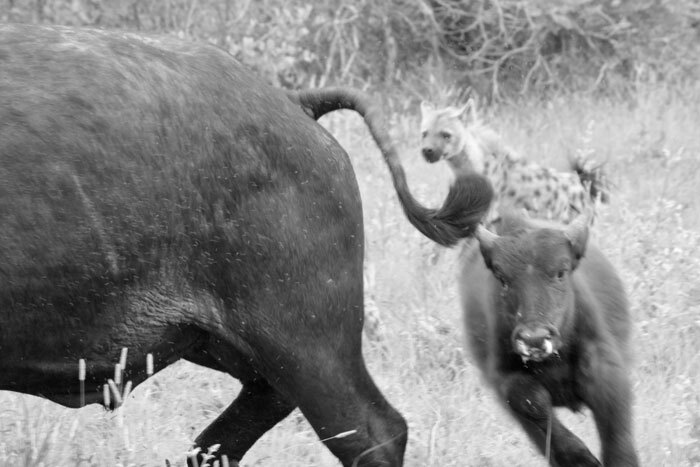 For over six hours a clan of hyena followed this sick buffalo calf. Endurance paid off as later that day the adult buffalo were seen but the youngster, who had been frothing at the mouth, was no where to be seen! It really is survival of the fittest out here. 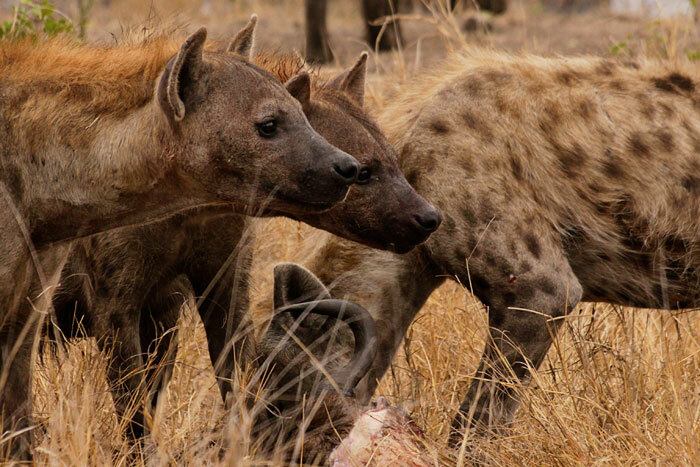 Hyena's antics provide for much entertainment at Londolozi; often this comes at the expense of leopards who are continually battling against hyena in an effort to not have their kills stolen. 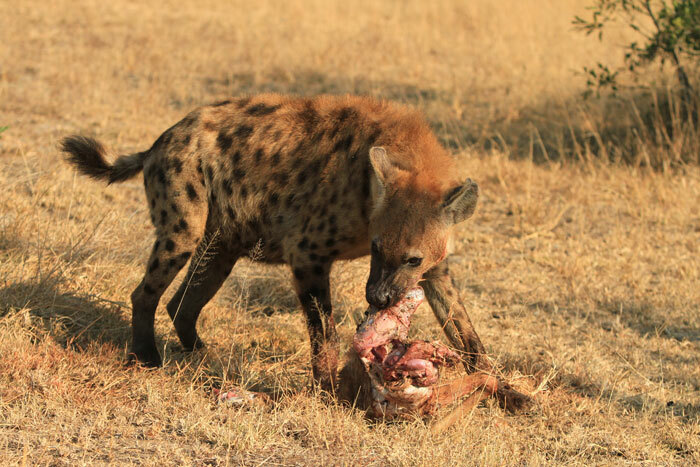 A piece of impala provides the perfect meal for a hungry hyena. A single spotted hyena can eat at least 14 kg of meat per meal. I used to think of hyena as sneaky nasty scavengers until I started watching the live safari drives at Djuma on Wildearth tv online. Now I love them (most of the time lol), the babies are so curious and playful and even the older ones are cute to look at up close. The only time I don’t like them are when they annoy (or bite the end of the taills off) my beloved leopards lol. Love the pics above, especially the small baby, I’m missing seeing the teeny ones, as the ones we watch have all got to the age where they have got their spots now, so it was good to see a tiny one again, thank you. 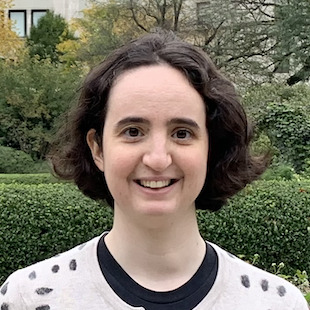 Hi Adam – What an interesting blog. I must admit, I have always been the one who thinks hyenas are just the “ugly bottom feeders” in the bush. They are always seeming to cause chaos and they are just everywhere. But, also, I admit the babies are very cute and it was fun to watch them frolic around. Also in Sabi Sands a few years back it was amazing to watch wild dog and hyenas running circles around our vehicle. 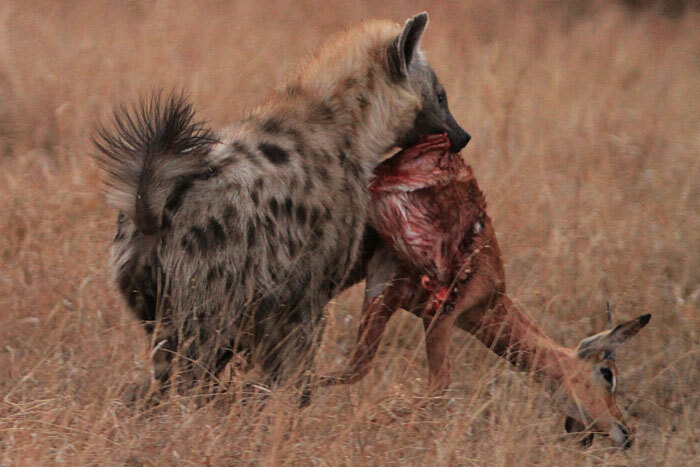 A wild dog had a piece of meat and the hyenas wanted it bad. I can still hear the sounds of the hyenas and feel my heart pounding with excitement watching the entire dance. Great photos you have taken!!!! Lastly – thank you for taking care of my clients Ed and family this week. They are having an incredible safari thanks to you and don’t want to leave wonderful Londolozi! Cheers! I love hyenas. Not only are they beautiful, but without them things don’t get cleaned up the way they should. 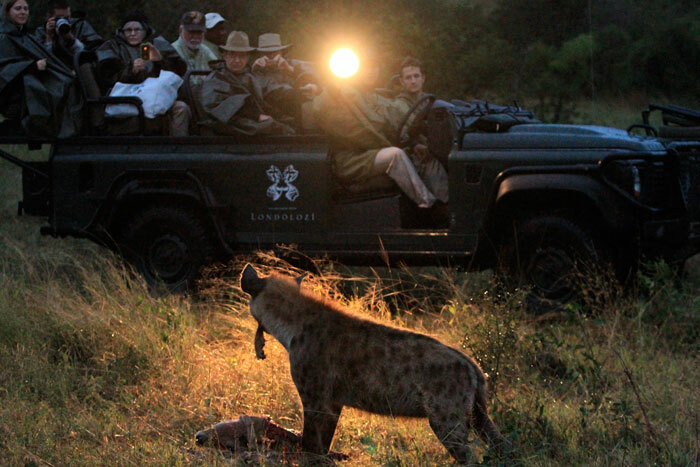 On our trip the camp we visited after Londolozi had had it’s hyena population severely reduced by the lions. Around the waterhole there were carcasses rotting everywhere. It looked like a war had taken place. No hyenas equals a big mess. I agree with you Ellen, I also love hyenas. If you spend enough time observing them you will notice fascinating patterns of behaviour, social hierarchies and an exceptionally determined attitude. Thanks for your comments. I agree with Ellen and Rich. 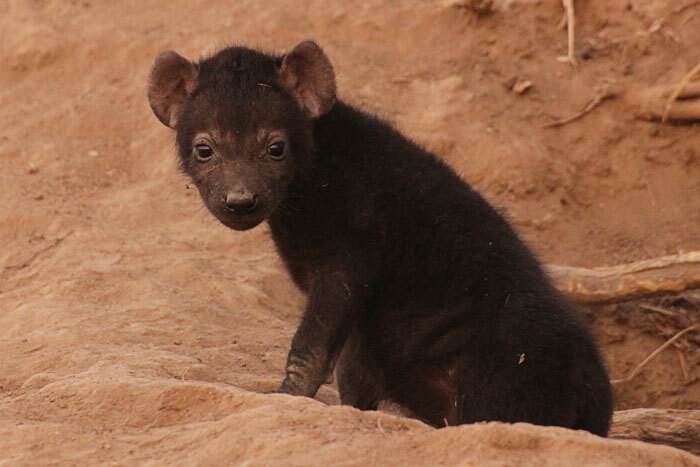 Although they may not be the spectacularly beautiful leopard, they have their own quirky nature to them that makes them uniquely “hyena”. No one can argue that they arent wild. Fascinating creatures, and no night in the bush would be quite the same without that amazing characteristic whooping sound. I find them very exciting creatures, never a dull moment thats for sure. What beautiful pictures Adam! I have such an odd fascination with hyenas, they are such an amazing animal and wonderful to watch. Great coverage of the much maligned hyena. I Am fascinated by them, and have seen many films by them over the years. I am particularly a big fan of Dereck and Beverley Joubert and also of Kim Wolhuiter who have produced many films of these animals . I used to be indifferent to hyenas, but now I love ’em! They’re very smart animals. Hyenas are as good as any other wild, African predator. Cats may be more beautiful and even regal or noble looking, but in behavior, the law of the jungle prevails with all – every animal for himself/his/her group. I have always love hyenas I just came back from Harar Ethiopia and I was able to feed hyenas on a stick and from my mouth and they were all from the wild. I’ve traveled all over the world and until I experienced this it was one of the most fascinating things I’ve ever done.